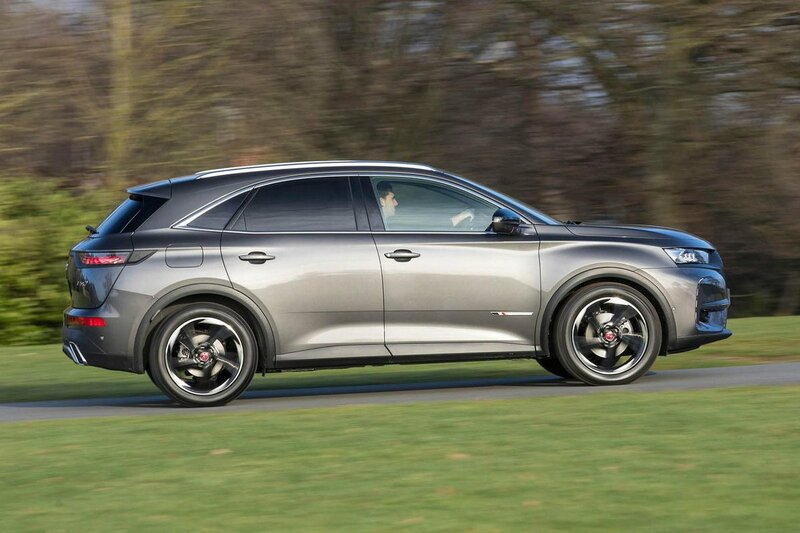 DS 7 Crossback Performance, Engine, Ride, Handling | What Car? The 7 Crossback has a choice of four engines: a 128bhp 1.5-litre diesel, a 178bhp 2.0-litre diesel and a 222bhp 1.6-litre petrol, with a 178bhp version of that petrol engine to follow soon. The 2.0 diesel isn't as slick as an Audi Q5's diesel; it transfers some vibration through to the controls at idle and gets coarse under hard acceleration. At least in town the start-stop system works very smoothly. 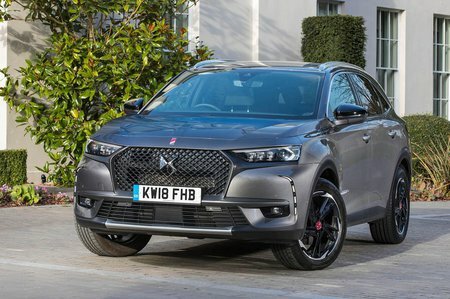 Unlike many of its rivals – the Q5, BMW X3 and Volvo XC60, for instance – the 7 Crossback is front-wheel drive only; this means that, on a wet road, it struggles for grip off the line. 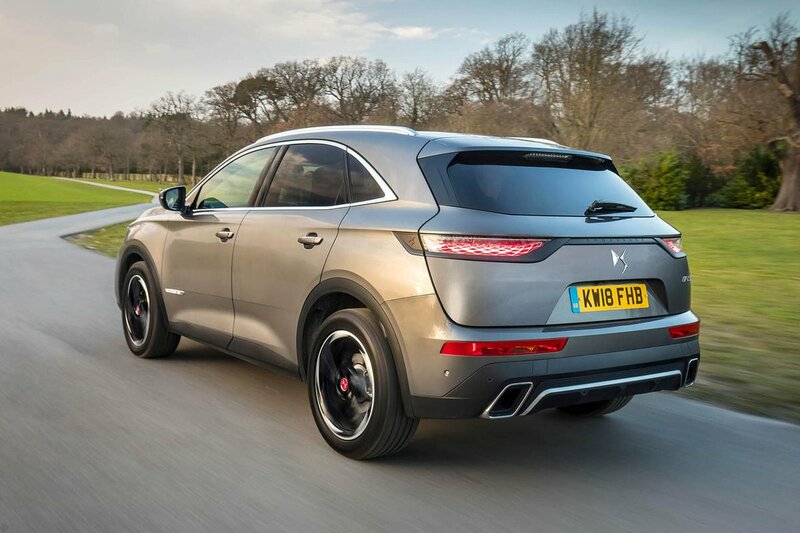 However, with plenty of mid-range shove – 295lb ft at 2000rpm, to be exact – once you're rolling it's easy to overtake and get up to motorway speeds, while the eight-speed automatic gearbox can get away with holding onto a taller gear, thus contributing to the hushed ambience on the move. The 'box itself shifts between gears smoothly, kicks down promptly and responds snappily to manual shifts made via the wheel-mounted gearshift paddles. As for the 1.5 diesel, it’s strong enough around town but takes a little while to get up to motorway speeds. With that in mind, it might be worth upgrading if you regularly have a full car. This engine is a little smoother than the 2.0 but does get raucous at the top of the rev range. A six-speed manual is available and it’s a good match. The clutch is easy to use and, although the shift is a little notchy, changing gear is a largely pleasant affair. Meanwhile, the 222bhp 1.6 petrol unit is pleasantly quiet on start-up and, at low revs, manages to remain very hushed. However, compared with the low-end grunt of the diesels, its initial pick-up is laboured and it’s only when you get near the top of the rev range that it feels responsive and zingy. When you work it hard, it has quite an intrusive – but not entirely unpleasant – exhaust note, and there’s a bit of vibration through the steering wheel and pedals. The eight-speed gearbox isn’t quite so slick and smooth as it is in the diesel models, with the occasional sluggish and jerky shift. One area of disappointment for all 7 Crossbacks is the spongy brake pedal. It requires quite a lot of travel before anything happens and is irritatingly grabby, making it difficult to stop smoothly, especially at low speeds. You also get lots of road noise at 70mph, especially with 19in alloy wheels fitted, although wind noise is relatively well supressed. Most variants get conventional suspension that does a pretty good job as long as you stick with the smaller 18in wheels. Although potholes can upset it, rougher road surfaces are smoothed over nicely. Alternatively, the 2.0 diesel, the 222bhp petrol (except Performance Line) and all Ultra Prestige models receive Active Scan suspension, which uses a camera to read the road's surface in Comfort mode. Does this work? Well, around town it is better at absorbing the kind of low-frequency bumps that would have the Renault Koleos thumping and jiggling, but compared with the best-riding SUVs (such as the Q5 and XC60 fitted with optional air suspension) it's still not as good. And it's too floaty at motorway speeds in Comfort mode, so we found it best to switch the system off and have the dampers in their mid-way setting. As a result, we wouldn't recommend buying the more expensive versions just to have this system. With all types of suspension, the 7 Crossback's soft ride comes at the expense of lateral control, so you get some noticeable body lean through quicker corners. Once settled mid-corner, it hangs on well and grips gamely, letting you feel very much in control – but it's just not as tidy or enjoyable to drive briskly as a Q5, X3 or Mazda CX-5. The Sport driving mode in Active Scan-equipped cars helps to tie things down a bit (this can be selected using a switch on the centre console), but you’re left with speaker-generated engine noise and an oversensitive accelerator pedal – both of which feel unnecessary in a family-focused SUV.